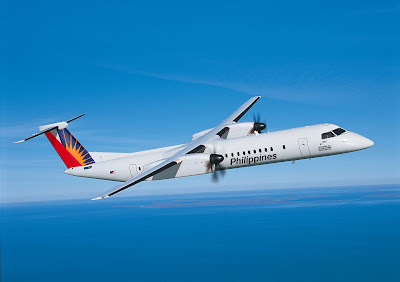 Aviation Updates Philippines - Bombardier Commercial Aircraft announced today, from the International Paris Air Show, that it has signed an agreement with Philippine Airlines, Inc. for the exercise of its seven Q400 aircraft purchase rights. This latest rights exercise brings Philippine Airlines’ total firm order to twelve Q400 aircraft. The original order for five firm Q400 with purchase rights for an additional seven was previously announced on December 8, 2016. ADDITIONAL ORDERS. The deal for seven more aircraft is on top of the current agreement for five Q400 signed in December 2016. Photo by Bombardier. Based on the list price of the Q400 aircraft, the firm order is valued at approximately US $ 235 million. The flag carrier of the Philippines is expected to take delivery of the world’s first dual-class, 86-seat Q400 aircraft in July 2017. Including this latest order, Bombardier has now recorded a total of 585 Q400 aircraft on firm order. Philippine Airlines (PAL) is the flag carrier of the Philippines. Headquartered in Manila, PAL celebrates its 76th anniversary this year as the first commercial airline in Asia. Operating out of its hubs at Ninoy Aquino International Airport of Manila and Mactan-Cebu International Airport of Cebu with a fleet of 81 aircraft, PAL serves 30 destinations in the Philippines and over 45 destinations internationally.